If you would like to know more about the rehabilitation counseling profession, our New York State association or the National Rehabilitation Counseling Association contact a member of our Board of Directors (See Contact List) Tell us how we are doing! Send an email telling us how we can help you! Thank you for helping us to raise awareness about persons with disabilities and the professional rehabilitation counselors who serve them. RC Bill for 2013 is active in the Senate (S3069) and Assembly (A00963) and the full bill as written is available to view at www.ny.gov web page. All senators and assembly men and women are also available on this site. Contact your legislators now!! Write letters in support of the 2013 effort to pass licensure bill for New York State Rehabilitation Counselors!! **CRC leaders in our state continue to work on very important actions - affecting the very core of our profession. Our CRC licensure bill was passed in the senate in 2012 and once again was hung up in assembly and higher education committee. Diligent leaders of the NYRCA licensure board continue to work with legislators to get this bill passed in both houses, and we are on the 2013 agenda for action. We will need your help and your support to get this bill passed!!!. TODAY- contact leaders on the board of directors and get your name on our contact list. Click on the links below for more information. Leaders including Rehabilitation counselors and professionals and legislators are continuing their work behind the scenes to get us in place for the 2013 legislative session. Every rehabilitation professional and consumer can attest that rehabilitation counselors are the skilled professionals who will provide improved access to services, improved advocacy and assure services are provided by a qualified rehabilitation counselor that empowers the person with a disability to lead full lives and give back to society. For more information contact a board member. Please contact your legislator or send us your legislators information and we will contact them for you. Many legislators across New York State have already been contacted and many have actively taken a stance supporting the rehabilitation counseling licensure effort. Thank you for your support of the rehabilitation counselor licensure bills! Send us your contact info so we can keep you in the loop Main Contacts for RC Licensure info. MANY THANKS goes out to Dr. Gerald From and Al Gaudiosos for all of their work in coordinating the licensure effort! NYRCA appreciates your support and dedication. There are many who have provided immense dedication and support who have made the difference and continue to support the efforts in their work and in their daily living. More information can also be found here on mobility while there are some helpful articles here on health at home issues. For some more in-depth views on disability, take a look at that resources. While a more down-to-earth viewpoint on making a handicap easy life from what would otherwise appear to be a tough existence can be found in the latter resource. Lastly, a look at this resource: handicap accessibility can provide more information to those looking for helpful ways to improve life in many different ways. 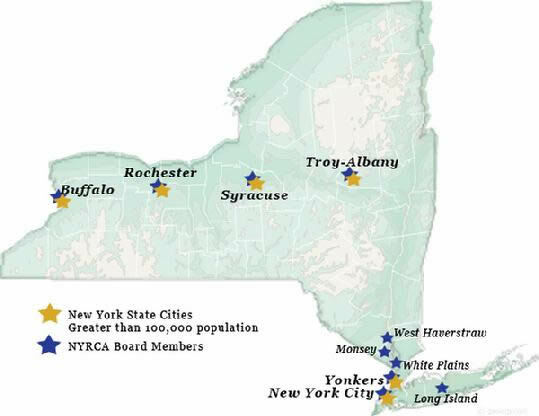 Thanks to ALL Of the NYRCA Board and individuals across the state working on this. Please contact us if you want assistance to reach out to your senator, assemblyman, colleagues TODAY and actively support our effort!